It is essential for healthy bones, teeth and plays a key role in muscle contraction. 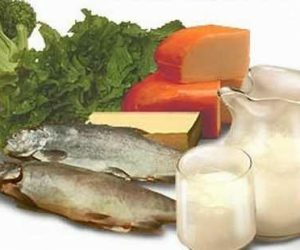 Calcium deficiency can lead to irritability, mood swings, memory impairment, hair loss, brittle nail and the list continues. For the minerals to be absorbed by the body, you must have a diet rich in fruits, dark green vegetables and whole grains. If you want to have enough in the body, you should consume as much as possible: spinach, broccoli, sardines, milk, yogurt, cheese, butter, green leafy vegetables, peppermint, tofu, soybeans, rose hip, carob, blackstrap molasses, flaxseed, oats, cabbage, fenugreek, figs, parsley, almonds, prunes, sesame seeds, fennel seed, lemongrass, alfalfa, whey and chamomile. Eczema, muscle cramps, rickets, brittle nails, heart palpitations, insomnia, depression, hypertension, high cholesterol, nervousness and tooth decay. Constipation, irregular heartbeat, confusion, headache and nausea. Consult your nutrition oriented doctor before supplementing with calcium if you have diarrhea, heart or kidney disease, kidney stones, diabetes or digestive problems. * Tobacco, alcohol, excessive amounts of phosphorus and magnesium and a diet high in fat, protein and sugar may lead to a decreased absorption of Ca. * The absorption and effect of iron and tetracyclines (antibiotics) may be affected by calcium supplements. * High doses of zinc can effect the absorption of calcium. The inverse is also true. 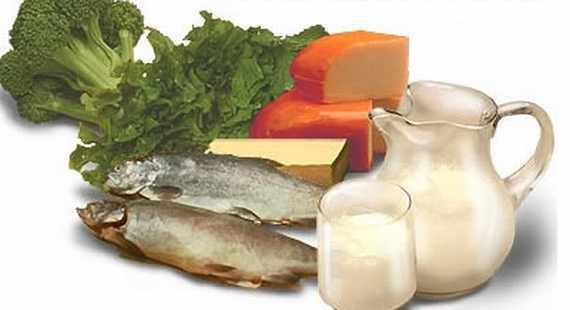 * Vitamin D and moderate exercise increase the absorption of calcium. * It may increase the effect of digoxin (used to improve heart contractions and / or beat). * It may reduce the response to Ca channel blockers (used for angina and high blood pressure). * Female athletes and postmenopausal women have low estrogen levels and need a higher supplementation of calcium to prevent osteoporosis. Estrogen helps to prevent osteoporosis by encouraging the deposit of calcium in the bone.